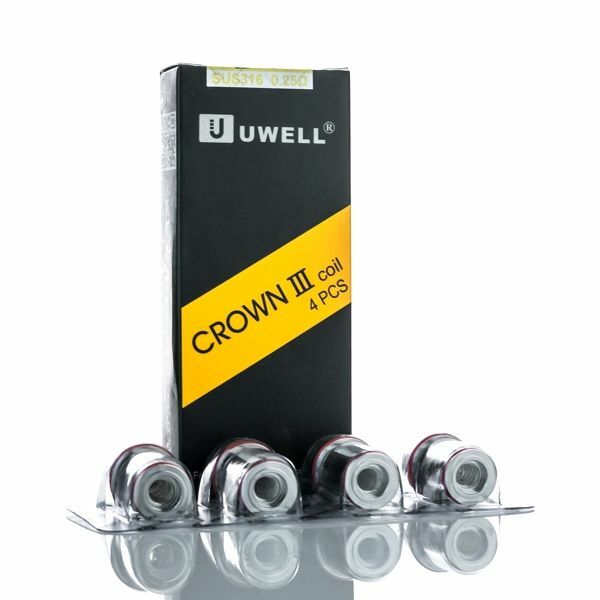 The Uwell Crown 3 Atomizer Coils are authentic replacement atomizer heads for use with the Crown 3 Sub Ohm Tank by Uwell. These cutting-edge replacement atomizers adopt the innovative parallel coil structure to deliver the perfect balance between flavor and vapor production. Each of the Crown 3 coils feature a one of a kind plug-and-pull system to allow for quick and mess-free atomizer replacements. Simply pull on the atomizer to remove and plug the hole with the new atomizer, no threads required. All of the Crown 3 atomizer coils utilizes an SUS316 stainless steel heating element with organic cotton wick. The stainless steel heating element allows for use with either variable wattage or temperature control devices while the organic cotton wick will deliver the absolute cleanest and flavorful vapor possible. 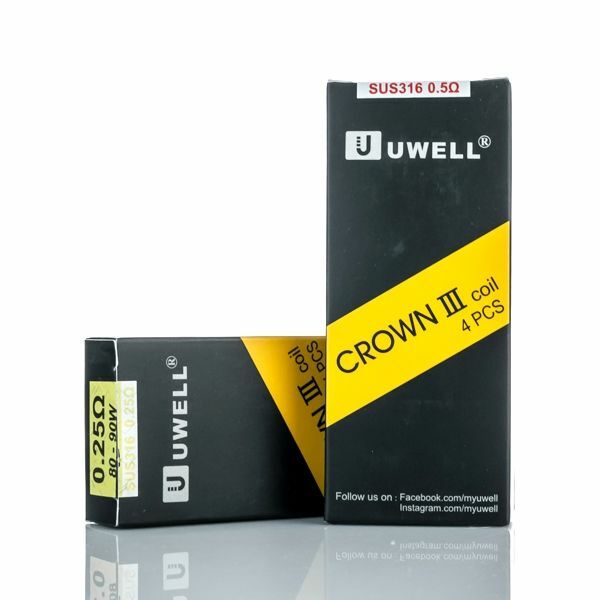 Keep your Crown 3 Sub Ohm Tank pumping out fresh, tasty clouds of vapor for plenty of time to come with this authentic 4 pack of replacement atomizers from Uwell.